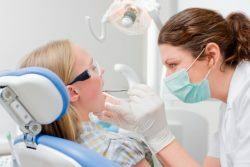 Outsourcing your dental practice accounting functions to a CPA firm that's familiar with your industry offers you more time with patients and less back-office responsibilities. That's why many dentists, orthodontists, and other oral healthcare professionals rely on the dental CPAs at Stanek & Company PC. Our experienced Farmington Hills, MI CPA firm provides dependable accounting, bookkeeping, and tax services to support all types of dental practices. When you make us your CPA firm, we'll handle all your financial management needs with efficiency and accuracy. We'll take over routine tasks like bookkeeping and financial statements, but we offer much more. With our assistance, your practice will improve cash flow, precisely track revenue and overhead, and become more profitable - all while you focus your energy on your patients. We'll also uncover ways to reduce your tax liabilities so your practice never overpays on taxes. Discover how dentists who work with a CPA firm that specializes in the dental industry can save valuable time, minimize taxes, and optimize profits. Call us now at 248-888-0099 or request a free consultation online and we'll contact you shortly.